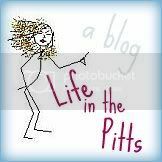 Life in the Pitts: Six year olds are gross. Or maybe that was just me? Six year olds are gross. Or maybe that was just me? Did you read Kenzie's post on Monday? She wrote a really funny story about how she always wished she was a boy, because it would be so much easier to pee standing up. When I was little (let's say 6-ish), I decided that sitting on the toilet was boring. I needed to spice things up. So I started straining my pee. Whenever I sat on the toilet, I would leave my underwear on. On purpose. To strain it. And then when I was done, I would just pull my pants up and get on with my day. I didn't have to wipe or anything- bonus. Sure, it was pretty uncomfortable running around with wet jeans, but I didn't let that get in the way of my experiment. .....I can only imagine what I smelled like. When that got old, I started peeing outside. My brother Jimmy got to do it on camp outs, and it sounded like fun. I would crouch in the bushes next to our house, with my pants around my ankles. Once I got going, I would have to shuffle my feet to avoid stepping in the river. You never knew which way it was going to flow, so I had to be very alert. 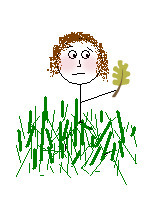 I quickly discovered that leaves and grass don't make very good toilet paper. Then it got cold, and running outside whenever I had to go lost it's appeal. I thought about it for a while, and I realized that I needed to learn to pee standing up. If I could do that, I could do anything. This one was tricky. I had some ideas, involving standing on the toilet seat, or maybe using a bent peace of paper. But after a few failed experiments (Kids, why is there a puddle of pee on the floor? Again??? ), I was ready to give up. Then one afternoon I was helping my mom bake, and a funnel caught my eye. 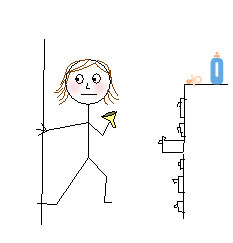 The next time I had to use the bathroom, I dashed into the kitchen, and grabbed the funnel. It worked perfectly. I thought about keeping the funnel in the bathroom, for easy access. But I was worried about getting caught. In the end, I snuck it back into the kitchen drawer, in between to pasta scooper and the cheese grater. I'm about 99% sure that I didn't wash it. When I told Kurt these stories, he just stared at me in horror. "Come on dude, it's not that weird." "We are never having children." I'm sure you all have stories like this. Right? So I just googled "pee funnel for women" and it turns out it's a big market. I was way ahead of my time. Maybe I'll just put one of these on my Christmas Wishlist. For old times sake. Haha! 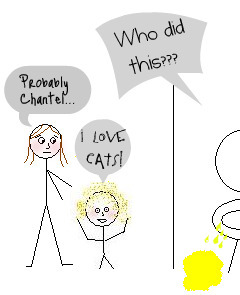 I will admit that when I was little I would pee, but never wiped. I thought I was saving toilet paper. I soon realized that all I was 'saving' was a few seconds. OMG Helena.....I don't know what to say. I'm with Kurt, kinda scared. im thinking of adding that to my christmas list as well. I hate public restrooms...and often hold my pee for long periods of time (not to healthy). when I was a little girl I we would travel to Utah to visit family and I would hold my pee the whole time, (11 hours) because I didnt want to sit down on the toilet in a public restroom. Just think of how this would have saved my kidneys!! I like you have tried some things...ill share one...on the way to utah one year, I tried using a bottle, because that is WAY cleaner then a toilet, I half way succeed. The funnel would have been genius!! So my friend told me about your blog last night, and I am thrilled at the fact that this is the post that first introduced me to you! I was dying laughing, and after spending a while/hours reading the rest of your blog, I want to be best friends! Congrats on being hilarious and downright enjoyable. I love this! I am so flattered that my pee dreams inspired you! And don't worry, I tried to pee standing over the toilet too! And got in trouble for peeing all over everything (I wasn't smart or cool enough to think of a funnel)! Nothing like pee in your shoes to slosh around in for the rest of the day! I think you are hilarious!! I think I might ask for one for Christmas too, just forwarded the link to my husband. He'll probably by mortified like Kurt but it looks practical! just kidding - or AM I? I was not nearly as adventurous as you but I did try using the garbage can in the bathroom and the sink.... I have no reason why, other than I just didn't want to use the toilet! GROSS... the only thing I know my daughter did was stand in the middle of her room and pee because she didn't want to go to the bathroom. THAT was a nice mess to get out of the carpet. Maybe it's a girl thing? that was disgusting to read. but hilarious picturing you do all those things. until it came to the funnel going back into the drawer part. then it was disgusting again. haha. i have a few good pee stories, since i have a bladder the size of a grape. like getting stranded on a ledge and peeing in an unsealed vase or the 132 times i wet my pants after the age of 18. Oh my gosh... I did not know about the straining. i was laughing out loud and started to read this to my hubby...he had kurts reaction. i think this is hysterical! I one time wet the bed because I was laying on my back and wondered if I peed would it go straight up? It didn't. PS I love that this is tagged under "things kurt wishes I never told him"
This is hilarious--totally disgusting--but, hilarious. I laughed so hard I almost peed my pants. The irony of that! Ha! I love this.."warning: this is not a craft site." Funny girl, I like you. I swear I don't know if I even believe you. This is too funny for words. And again...you get my "favorite blog post of the day" award. Haha! No, you GAINED a follower! LOL! Great to meet you, fellow "pug". OMG! This was just too funny! I have to tell you, you just made my Monday. One of the best things about children is the way they think and their creativity (don't always love the clean up but hey it's a trade off! )Thanks for sharing this hilarious experimentation. That is hysterical! I can't recall any quirks I had a child but my husband used to wash all his plates & glasses before using them, in case someone was trying to poison him. He wasn't sure who would be doing that, he just a feeling someone would try so he had to wipe down his plate before he'd eat dinner or rinse out the glass before anything could be poured into it.